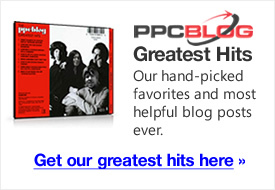 Unless you’re lucky enough to be selling something absolutely unique, you’ll face competition in PPC. 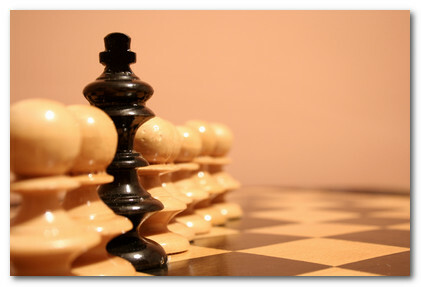 How you position against your competitors is crucial to your success. Positioning is not simply a case of writing better ads, bidding higher, or occupying the top space. Positioning starts before you get anywhere near a PPC campaign. First, you need to get a sense of the market. Whilst it’s possible to offer the same thing as everyone else, and win with great PPC chops, such a position is tenuous. Someone can make a more compelling offer. A competitor may offer something free whilst other bidders are charging for a service. They’ll likely win, even if their PPC skills aren’t great. Start by making a list of what your competitors are offering. Conduct a keyword search and make a note of the text in their ads. What is their offer, and how are they framing it? Are they competing on customer service? Are they competing on free shipping? Are they competing on convenience? Are they competing on security? It’s likely your competitors will be competing on a number of these advantages at once. This type of analysis can also hint at what works i.e. those bidders occupying the highest position over time most likely understand what their audience wants, else they would be unlikely to keep spending. Pay careful attention to their wording. This analysis can also hint at what is missing. For example, you know that your audience is concerned about security, but none of your competitors mention it. You should also look at the top SERP results. They are your competitors, too. Whilst some listings might occupy high positions based largely on aggressive SEO, as opposed to offering exactly what the searcher wants, you might find some great information if any of them provide a forum for user feedback. For example, forums, customer reviews, etc. Just by scanning customer review sections on the likes of Amazon, you can get into the minds of your customer, and find out the features most important to them, and/or the biggest problems they have with the existing offerings. Now you know something about your competitors, make a list of your own advantages. Think in terms of features and benefits. A feature is an aspect of your product or service. For example, “3G connectivity”. A benefit is the positive result of using that feature. i.e. “faster mobile browsing”. Making such a list will help you craft your ads. Be succinct. Not only is this forced on you by the format of PPC, but also by the environment. People scan the screen. You’ve got very little time to hook them in, especially when your listing is one of many. So make sure your features and benefits are stated explicitly, and match the intent of the search term. You should now have a list of a few unique benefits, or at least benefits that sound better than those offered by your competitors. You have crafted what is know in marketing as a “unique selling proposition“. The beauty of search is that you can keep carving the market thinner and thinner until you find one. By crafting your ad to a specific keyword term, particularly one with little competition, you may appear unique, even if you’re not – it’s just that your competitors haven’t bothered to advertise against that keyword term. Write your ad copy and landing pages around your unique selling proposition. You’ll be highly relevant and constantly reinforce your competitive advantage. Re-check your competition to ensure you stand out, not just in terms of your ad copy, but your landing page copy and user experience, too. When a visitor lands on your page, they must be convinced you are not only relevant to their needs, but you offer something better than the advertisers surrounding you.